Phoenix car accidents can turn your world upside down, and have the potential to cause serious, life-changing injuries including traumatic brain injuries, broken bones, paralysis, internal injuries, and even fatalities. Even if there are no serious injuries, there can still be steep medical bills and property damage that must be covered. And if you’re unable to work, you could be sued or a lien could be placed on your property if you are unable to pay those medical expenses that you incurred because of someone else’s negligence. The two most common expenses caused by car accidents in Phoenix are medical expenses and the expenses associated with repairing or replacing your car. Medical expenses can create more stress. If there is a serious injury, such as a spinal cord injury, your medical bills can quickly accumulate and reach several hundred thousand dollars when it is all said and done. Even minor accidents can generate several thousand dollars’ worth of medical bills and treatment. The added stress of wondering where the money will come from to pay those expenses can make your recovery time even longer. The next common expense greatly affects the victim’s quality of life. That is loss of income. According to the Rocky Mountain Insurance Information Association, the loss of productivity and loss of life associated with car accidents in the U.S. is around $1 trillion each year. The inability to work may be temporary or permanent, but it creates a serious problem for Phoenix families. The inability to work could mean that you lose your home, can’t pay your monthly expenses, or keep enough food on the table. The loss of life is another devastating fact of Phoenix car accidents. Families lose income. They not only have to face a mounting pile of medical bills, but also the final expenses needed to lay their loved one to rest. They also lose the love and companionship of the deceased. Dealing with grief while struggling to make the ends meet and handling the unexpected expenses goes beyond the general idea we all have of stress. Disfigurement is another common expense. This isn’t just about medical bills although that is a significant factor. Burns may require skin grafts and on-going medical care. They may cause disfigurement or other serious issues that limit your ability to continue the life you had before the accident. Serious injuries could result in amputations or even blindness. These permanent conditions can lead to a lifetime of special needs, emotional pain, and it may require you to learn how to live your life in a new way. Won’t the Insurance Company Pay Your Bills? We’ve all been taught that the purpose of having insurance is to cover the cost of accidents. Automobile insurance is supposed to help accident victims get as close as possible to the quality of life they held before the accident. And car insurance is legal necessity to operate a motor vehicle in Phoenix. Insurance policies can even include uninsured / underinsured motorist coverage. Yet, most accident victims are treated unfairly by insurance companies. Why? Insurance companies are for-profit businesses. While there are times when an insurance company does compensate the victims as they should, that’s not the norm. Insurance companies are in business to make a profit. They want to minimize their expenses; and they see paying on claims as an expense of the business. So, they may offer you far less than your claim is worth or even blame you for the accident and not pay out at all! The insurance company may also pressure you to settle for less than you deserve. They could try to make you wait it out, hoping that as your bills pile up and if you’re not working, you’ll feel forced to take anything they offer. Don’t sign anything from the insurance company until you’ve spoken with a dedicated Phoenix car accident lawyer. If you sign a settlement agreement, you could lose your right to future compensation, on-going medical care for your injuries, and even your right to sue. 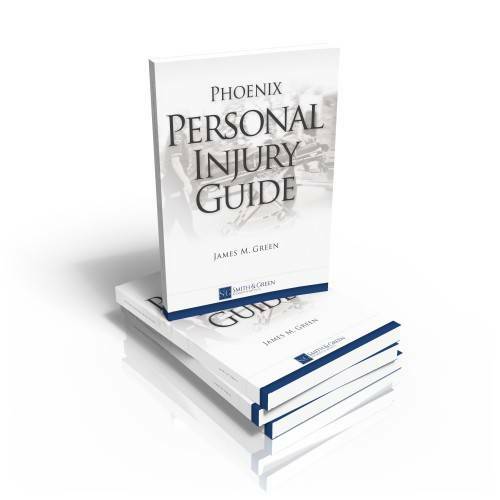 How Can a Phoenix Car Accident Lawyer Help You? The most common idea is that a Phoenix car accident lawyer can help accident victims and their families by filing a lawsuit. Yet, that’s not all that they do. The purpose of hiring a lawyer is to have someone on your side who is looking out for your best interest. They can contact the insurance company on your behalf to ensure that you’re treated fairly. A Phoenix car accident lawyer can explain the terms of any proposed settlement agreement to you and educate you on whether it’s in your best interest to sign it. They can deal with the past due bills and take some of the stress off of you so that you can focus on getting better. They can even help you find a place to get the necessary repairs made to your vehicle. At Smith & Green, you’ll meet with an experienced Phoenix car accident lawyer who will help you and your family. Car accidents are stressful. We work to provide you with the aggressive representation you need so that you can focus on getting your life back. We’ll explain every step of the process to you. Worried about going to court? Most car accident claims are settled before a lawsuit is necessary. Attorneys Smith & Green are a dedicated team of experienced negotiators. We can handle the settlement process for you. If necessary, we’ll go to court on your behalf. The first consultation is free and absolutely confidential. We want to make sure that every car accident victim has the opportunity to get treated fairly and to have a Phoenix car accident lawyer looking out for them through the process. You don’t pay us unless we successfully settle or litigate your claim. To learn more or to schedule a free consultation with a dedicated Phoenix car accident lawyer at Smith & Green. Call us now at (602) 812-4600.